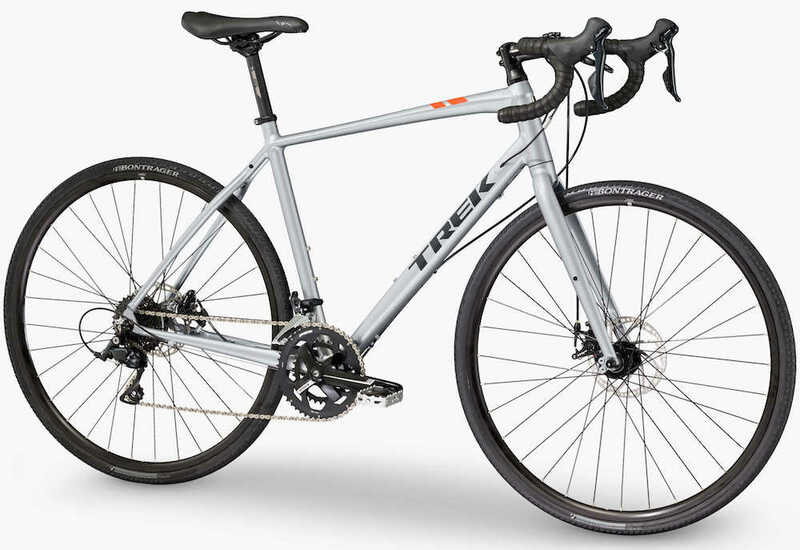 The Trek CrossRip is a light touring bike that was introduced to Trek’s range in 2013. While it’s always been marketed at the fitness and commuting crowd, it’s actually a great light touring rig too. 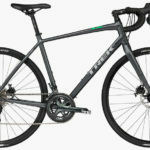 In fact, Trek found themselves with two near-identical bikes last year (the CrossRip and 720) which broadened the reach of the bikes to different consumers. The 2017 Trek CrossRips are now available in three different models, with prices ranging from US $1099 to $2099. 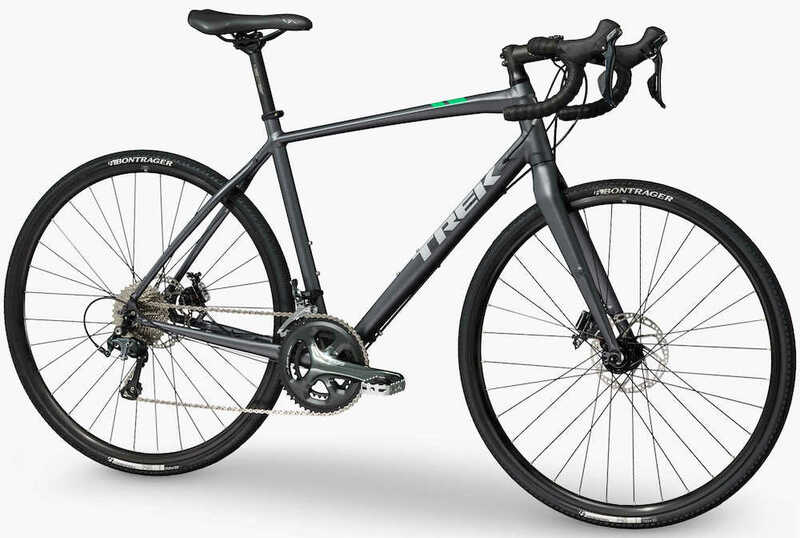 A flagship model now sits on the top (Trek CrossRip 3), providing the same frame, but with upgraded Shimano parts across the board. The two lower models (Trek Crossrip 1 & 2) have been updated with the newer Shimano groupsets, and have both received a US $100 price drop! For 2017 there’s a frame upgrade to utilise a lighter weight, more high-performing aluminium that Trek call ‘200 Series Alpha’. In addition, the carbon fork is all-new but with the same low-rider mounts for a front rack. It’s no longer available on the base model, however. The geometry of the Trek CrossRip has also been modified for 2017. While the sizing is exactly the same across the board in terms of stack and reach, the steering speed and overall wheelbase has been modified to make the bike more stable. This has been achieved by making the head angle one-degree slacker and using a carbon fork with 5mm more rake. The result is slightly slower steering, a longer wheelbase and additional toe clearance from the front wheel. The 2017 Trek CrossRip 3 touring bike. 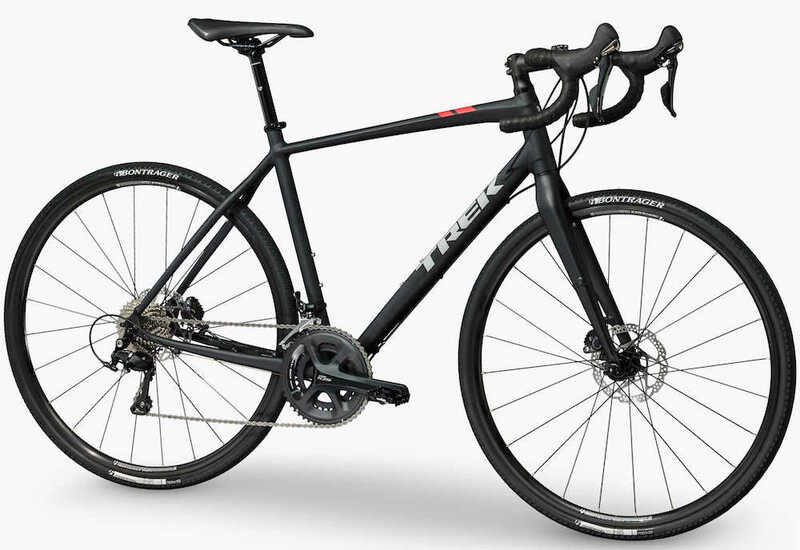 The all-new flagship model, the Trek CrossRip 3, uses Shimano 105 11-speed parts throughout, including the brilliant Shimano RS685 hydraulic brake levers and calipers. These gears feel great, and the braking performance is really impressive for a road groupset. The gear range on the 2017 Trek CrossRip 3 is 29-123 gear inches – which is on-par with other light touring bikes. Given the quality of parts, this bike would make for a great all-rounder road, gravel and touring bike at US $2099. The 2017 Trek CrossRip 2 touring bike. The 2017 Trek CrossRip 2 has received a very minimal change to its specification. It now uses a matching Shimano Tiagra crankset, and Trek have also installed a 11-34t cassette which gives slightly better climbing gears than the outgoing CrossRip LTD. The gear range is 27-123 gear inches which is slightly wider than the flagship model due to that new wide-range cassette. Braking is taken care of with the awesome TRP Hy/Rd brakes which are cable operated until the caliper, where it switches to a hydraulic piston to squeeze the most out of disc brake performance. 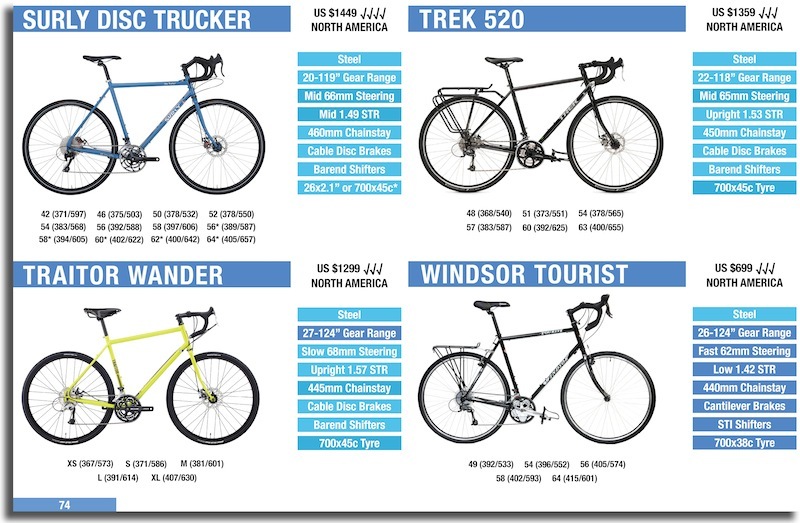 The 2017 Trek CrossRip 2 retails for US $1579 which is US $100 cheaper than last year. With the carbon fork and 10-speed parts, it certainly offers the best value-to-performance ratio too. The 2017 Trek CrossRip 1 touring bike. The 2017 Trek CrossRip 1 is now US $100 cheaper than last year! One of the ways Trek reduced the cost of the Trek CrossRip 1 was by replacing the carbon fork with an alloy version. This is only expected to add 100-200g to the total weight of the bike. There’s been a crankset change to a 48-32t FSA model that offers better gearing for light touring. The lowest gear is 27 gear inches, but if you swapped the cassette to an 11-34t you could achieve 25 gear inches without too much trouble. There’s been a brake upgrade to TRP Spyre C mechanical disc brakes. These brakes are awesome because they pull both pads in, rather than just one, providing more even braking than comparable brands. The 2017 Trek CrossRip 1 will retail for US $1099.